Shish Barak is one of my favourite childhood dishes. 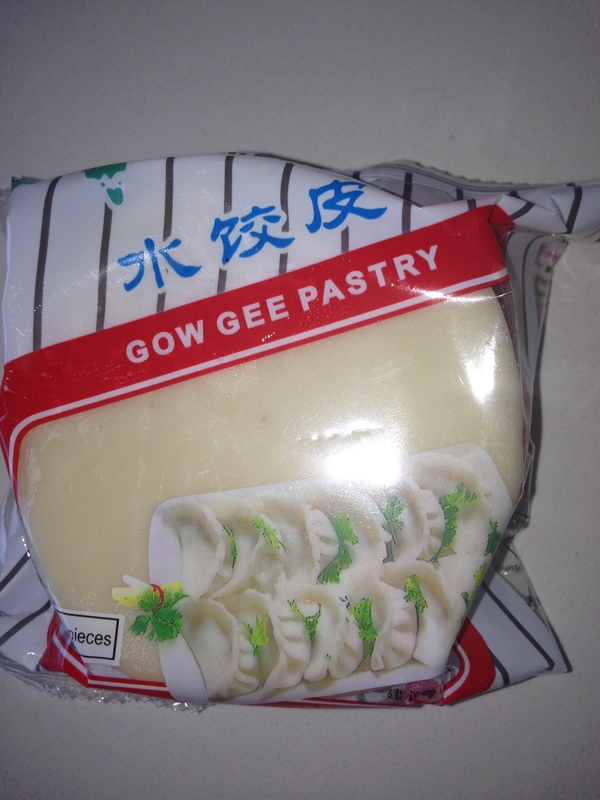 Growing up I loved to help out with cutting the pastry and making the dumplings. I remember begging mum to let me eat a few of the ‘mini hats’ as they came out of the oven. However I no longer follow my mum’s recipe in baking the pastries prior to putting them in the yoghurt, so I never had to endure nagging little tummies asking for mini hats. The name Shish Barak is most likely derived from Turkish. Borek or burek in Turkish refers to pastry but I am not sure how sheesh, which means a skewer, made its way to the name of the dish. When I was in Turkey in 2012, I went looking for Shish Barak and in Istanbul I found in many restaurants a quick modern-day version made for tourists which consisted of macaroni cooked in yoghurt. I did not even bother trying it. 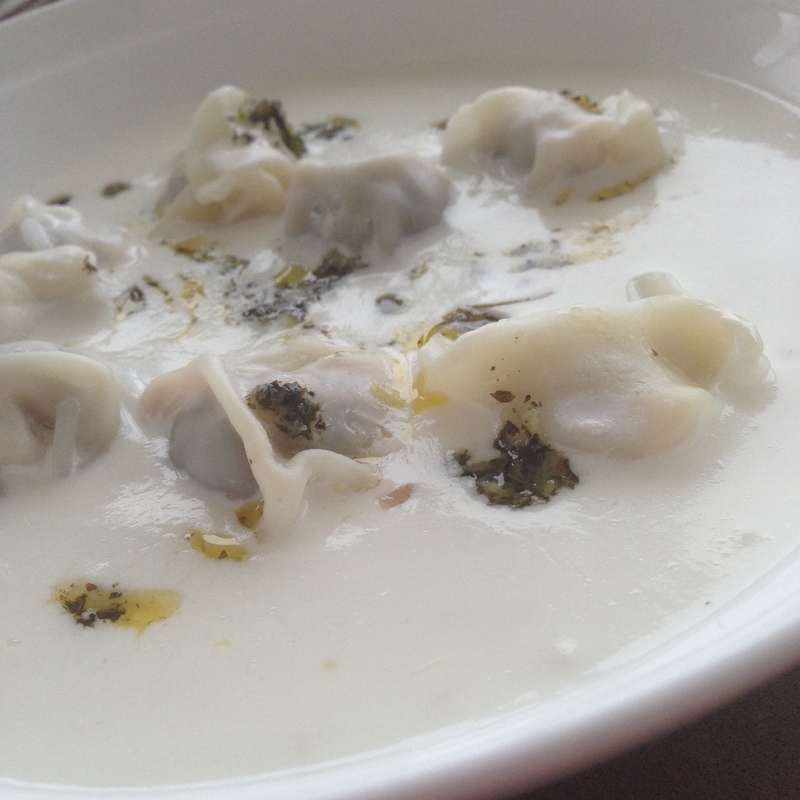 At last I found an authentic dish in Goreme in the region of Cappadocia, called Manti. The pastries were much smaller with a lot less filling and the yoghurt thicker with a bit of a tomato sauce dabbed on top, quite delicious, similar but very different. 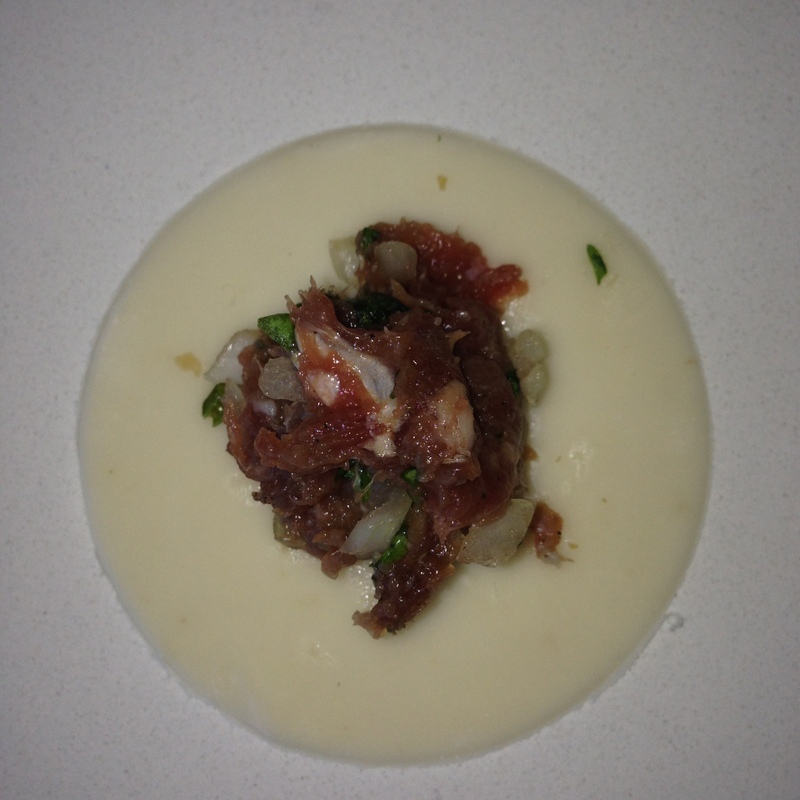 After settling in Sydney I craved this dish so much and never attempted making it because it was quite time-consuming. I would sample it every now and then at my dear neighbour Eveline’s place, who would always give me a call and put a plate aside for me. It was Evelyne’s Shish Barak that I fell madly in love with. My mum is a wonderful cook but when it came to Shish Barak, Evelyne reigned supreme. She taught me not to bake the pastry and to add a bit of coriander to the filing which made such a difference. I was hooked and since would attempt to spend a day cooking the dish her way, but no more than a couple of times per year at most. Eveline passed away in 2005 and I missed her dearly, she was my Australian mother. For me, cooking Shish Barak was a way of evoking her beautiful spirit. Every time I make this dish, I am flooded with her memory. Before she had passed away I was so excited to tell her that I discovered a way to make the dish without the strenuous labour. I had visited Chinatown with a friend and discovered pan-fried dumplings. 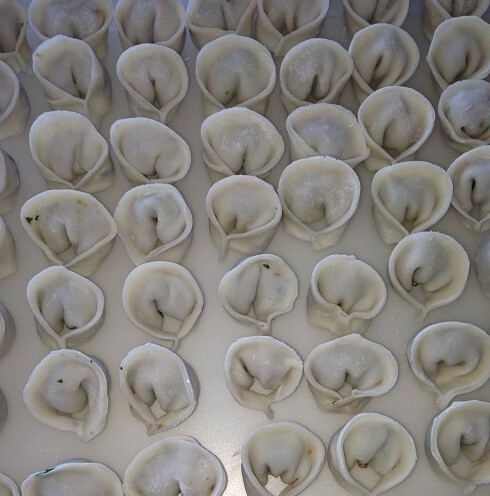 My Chinese friend told me that I can make them with dough that is ready-made which I can purchase from Asian supermarkets. 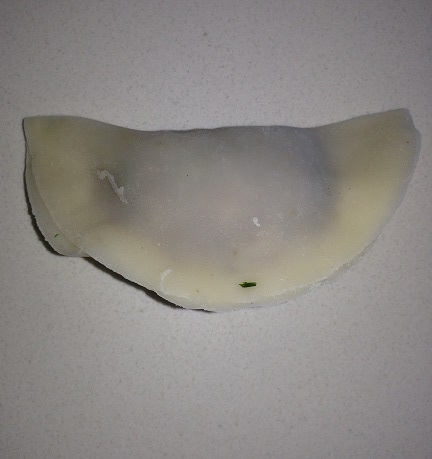 I started making dumplings and then one day I thought, why can’t I use this dough for Shish Barak! I had to make them smaller because they were too big, but it was still so much quicker than making dough from scratch. My Shish Barak recipe was born again. And as a result my family, friends and I could enjoy it all year round. Please note: I am using goat yoghurt, available in Middle Eastern stores, if you wish to use Cow’s milk yoghurt then follow the ‘preparation of cow’s milk yoghurt’ below. You need to follow these instructions so your yoghurt does not curdle. 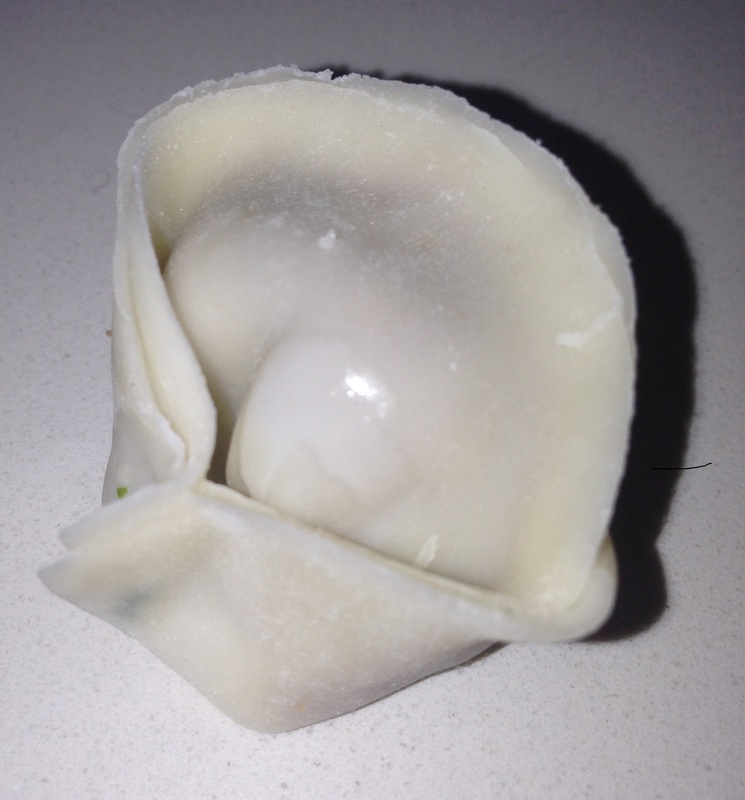 By making two packets, this allows you to freeze the unused dumplings for an instant meal the second time around. Double the quantity of filling to do so. 2 table spoons of butter. Mix all of the filling’s ingredients well together. Prepare pastry by cutting it with a 7 cm cookie cutter or the bottom of a can of that size if you don’t have one. Once you have prepared all the pastry sheets, pick them up one at a time and put a flat tea-spoon of the filling in each leaving enough pastry around the edge, moisten the sides with a bit of water and fold it in half and then in half again and pinch it. Repeat until all pastry sheets are finished. Put aside. Pour the goat’s yoghurt in a wide pot and bring to the boil, once it starts bubbling add the hot water and ¼ cup of rice and bring to the boil again while stirring every now and then. Add the dumplings gently a couple at a time, let it cook uncovered for about 20 minutes. Stir gently every few minutes. In the meantime crush the garlic with a pinch of sea salt and put in a non-stick small pan with butter and mint and fry very quickly and turn the heat off as soon as butter bubbles. 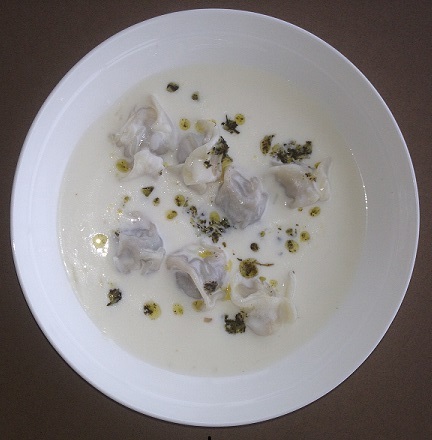 The dumplings will rise to the surface as they cook, remove one and test that it is cooked right through, turn heat off and add mint and garlic butter on top and serve immediately. It is best if you allow it to cool a bit in the plate before consuming. You can have it either as a soup on its own, or served with rice, recipe below. Clean rice and drain. Place the butter in the pot and add the egg noodles by breaking and crushing the ball with your hand. Fry until golden then add rice and toss a bit before adding the water and sea salt. Bring to boil and then simmer for about ten minutes or until cooked. Check that the rice is cooked by crushing a single grain between two fingers and making sure it is soft. Turn the heat off and place a dry tea towel on top of pot then put lid on top and fold excess material on top of lid. This will absorb any additional steam. 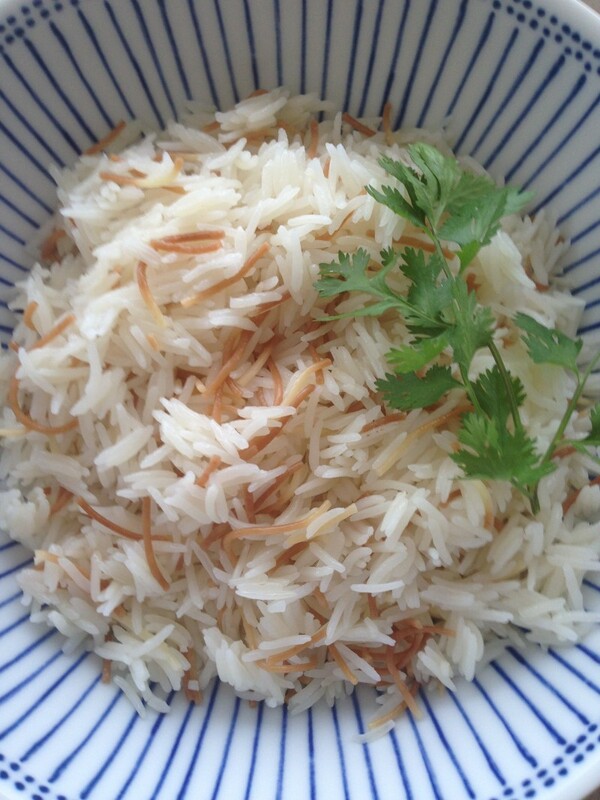 Note: If you wish to use ordinary short or long grain rice, not Basmati, please refer to ‘ cooking rice absorption method’ in my Tips and Tricks category. If you are using cow’s milk yoghurt, you need to place the yoghurt in a bowl and whisk it very well until very smooth, then for every 250 ml or 1cup of yoghurt you mix 1 tablespoon of corn floor with 1 tablespoon of water and you add to the yoghurt. stir well to combine. Put yoghurt in pot and bring to boil and then slowly start adding the hot water 1/2 cup at a time while stirring constantly until all the water is used. You need to take care at this stage and keep on stirring otherwise the yoghurt might separate. Tags: diet, dumplings, food, healthy, Lebanese, Mediterranean, recipes, soup, yoghurt. Bookmark the permalink. Subscribe: Enter email in box below to get latest poems & recipes delivered to your inbox. copyright © 2017 Poem and Dish. All rights reserved.